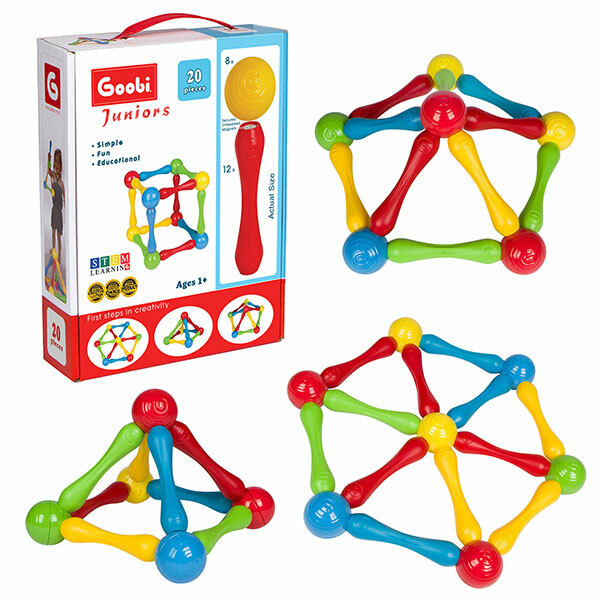 The Juniors line of the Award Winning Goobi Magnetic Construction Set, is designed for ages 1 and up. 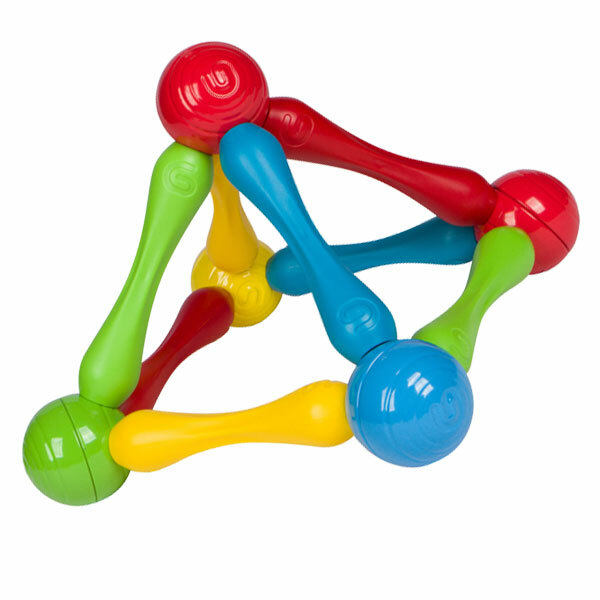 We strongly believe that creativity doesn't have to start at age 3 and we introduce the Juniors line - an educational toy with S.T.E.M. 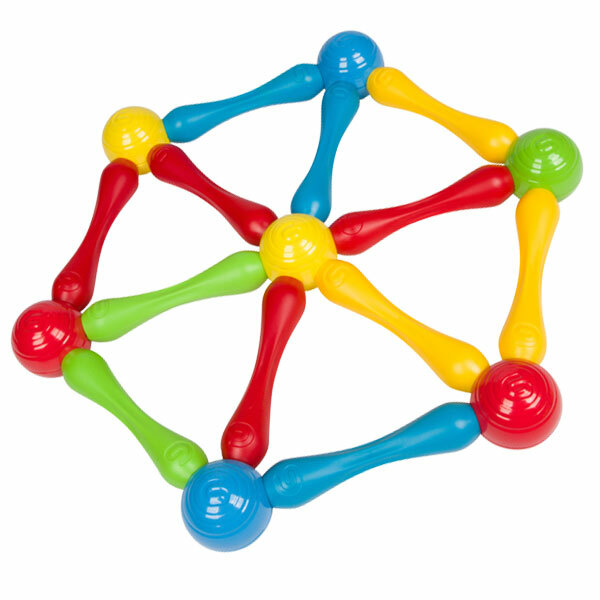 Learning Profile, tested, certified and in compliance with Toy Safety Standards in the USA. 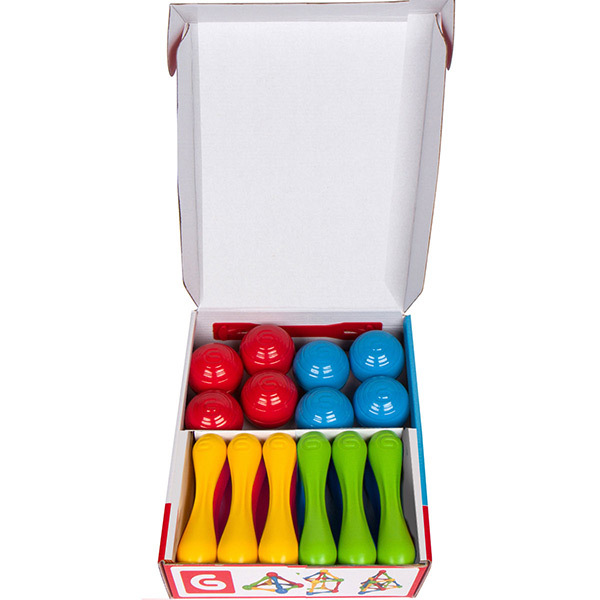 Goobi Juniors-20 is to introduce the fascinating world of magnetic attractions to even younger children and contains 20 pieces: 12 jumbo bars and 8 hollow iron balls. 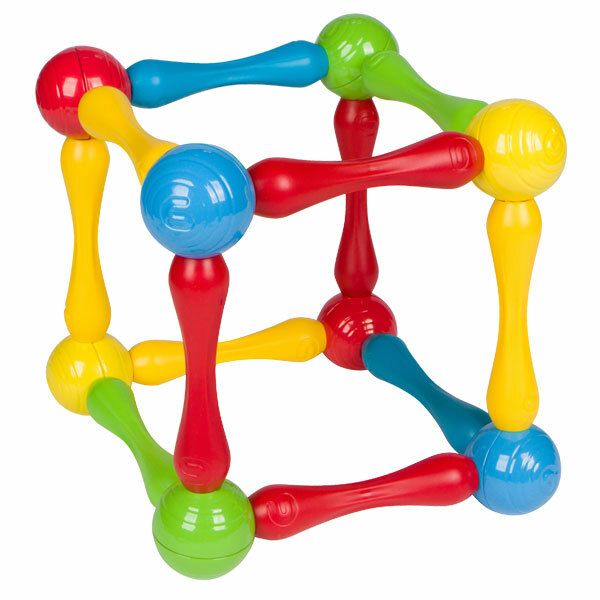 IMPORTANT: Please note that hollow iron balls are NOT magnets. Magnetic bars have magnets safely embedded inside each end of the bar. 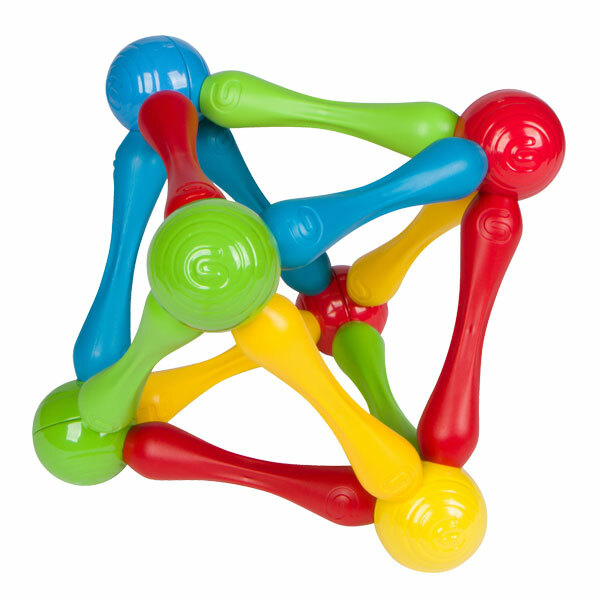 Under normal circumstances of use, the magnets inside the bars cannot break out. Improper use however can damage the toy parts. 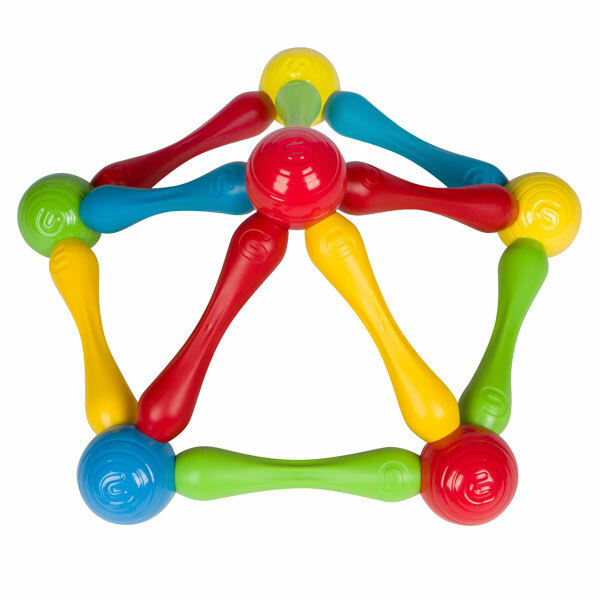 Therefore, we recommend to always inspect the integrity of the toy parts before giving the toy to young children.